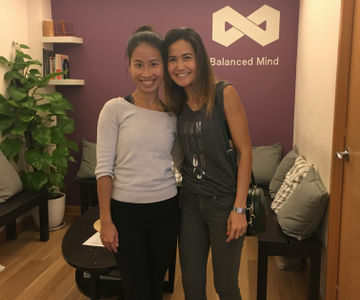 Mindful Pilates receives many international visitors each year who visit Hong Kong to further their knowledge of Pilates and to gain hands on experience with the Lynne Robinson's body control method of this incredible art. 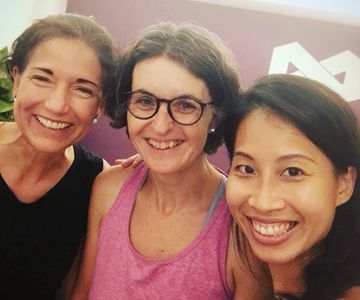 Whether you are a seasoned Pilates practitioner, a beginner with a passion to learn more or a certified instructor from your respective style and field, we welcome all who walk through the door with open arms. Don't hesitate to get in touch today for more information on how to train with the MP team and students. See you soon! 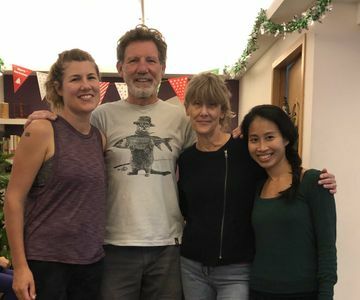 We're always delighted when our Mindful family brings in their own and have a blast with us! 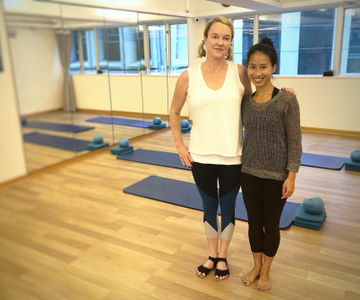 Claudia Holtmanns is a Pilates teacher since 2004, educated and certified by Juliana Afram and Polestar Pilates. A couple of travelling professors had a wonderful time with Karen!